We provide professional, reliable swimming pool services including pool maintenance, pool repairs, pool renovations and pool supplies. 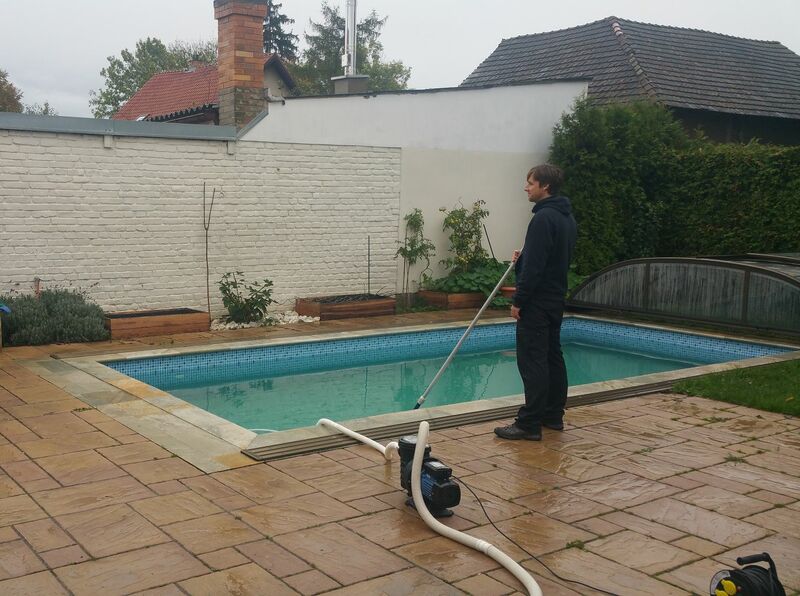 We offer a range of pool services depending on the needs of our clients. Find out more about our services and pricing and what BazenExpres has to offer. We cover main regions of the Czech Republic, all our services are EXPRESS! Pool cleaning and service after the winter (chemicals and water treatment included). Prices are starting at 1800,- Czk. We also offer pool conservation before winter. We are specialists in non-chlorine water treatment. Let’s CREATE YOUR SWIMMING POOL CHLORINE FREE! Individual offer of weekly/monthly regular pool service (includes cleaning, water treatment, repairs, chemicals). Prices are starting at 1500,- Czk. Wide offer of pool supplies and equipment. In addition to the services listed, BazenExpres.cz can also perform pool renovations, complete swimming pool removal or installation, and pool equipment installation and repair. Free expert advice on pool maintenance. Contact us anytime! By sending information via this contact form you agree to our terms of GDPR.